For those who are not familiar with IHG’s Accelerate campaign, IHG (Intercontinental Hotel Group) runs a quarterly promotion to reward IHG members to “earn bonus points on your travels faster”. It is just as the name implies: “Accelerate”. This quarter’s promotion period runs from 5/15 to 8/31/17. It’s not a bad list, though I knew I won’t go far with these offers. In fact, I had completely forgotten about this promotion until I started a paid stay at a IHG property. I quickly registered before I completed my stay. If this happened to you, you may be relieved to know that the stay counted! Even with some progress, I likely won’t bother with the rest of the offers. To start, the economics didn’t make sense. 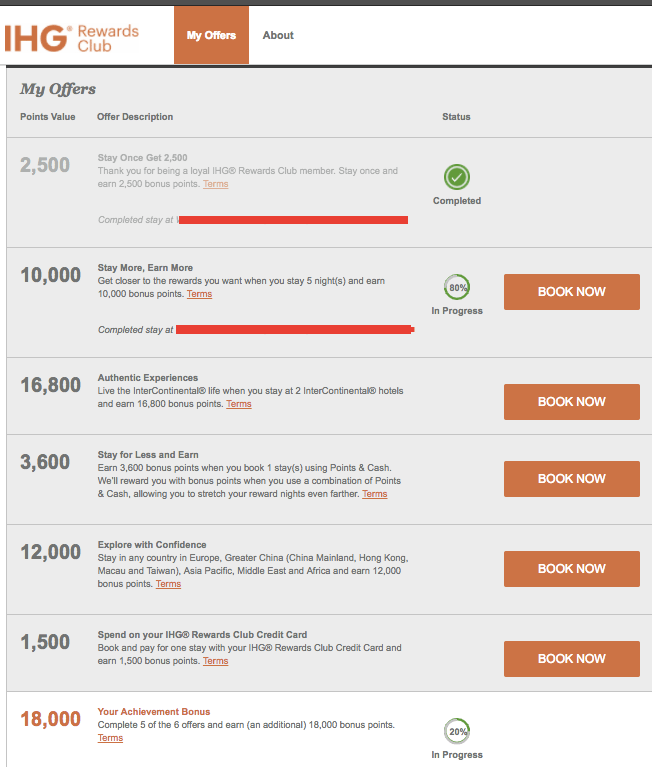 For example, I only need one more night to complete the 10,000 IHG bonus points offer. However, the lowest nightly rate of nearby hotels is just under $100. I certainly don’t value 10,000 IHG points to be worth $100. If you ended up getting some offers that can be stacked (i.e. 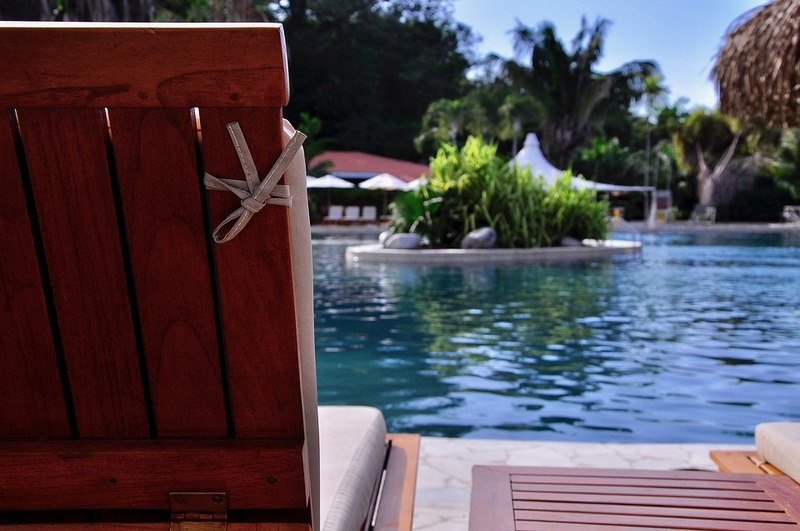 a stay can meet multiple requirements), then there may be some added value proposition. Sure, there are are some low hanging offers as well, but the associated bonus points offers are so low that they are generally not worth it –unless you are on target to meet the achievement bonus. I think IHG runs a brilliant promotional campaign. After all, if customers are trying to book more stays to meet the offers, then IHG has succeeded with incentivizing customers to book with them. It’s no wonder this promotion is popular and comes back every quarter. As for me, unless I see a really great hotel rate that may be worth a staycation, I’m just going to skip the rest. I’ll have to wait to see the offers are for the next quarter. ← Should You Always Split a PNR for a Better Chance at an Upgrade?